I’m starting my new job this week and, as excited as I am for a new beginning, I’ve been definitely stressing out a little about the longer commute, structured hours (freelance spoils you sometimes! ), and planning for the week. I’m a morning person, meaning that when I wake up I’m awake and ready for the day. That does NOT mean I don’t like to sleep in as much as I possibly can before starting the workday. 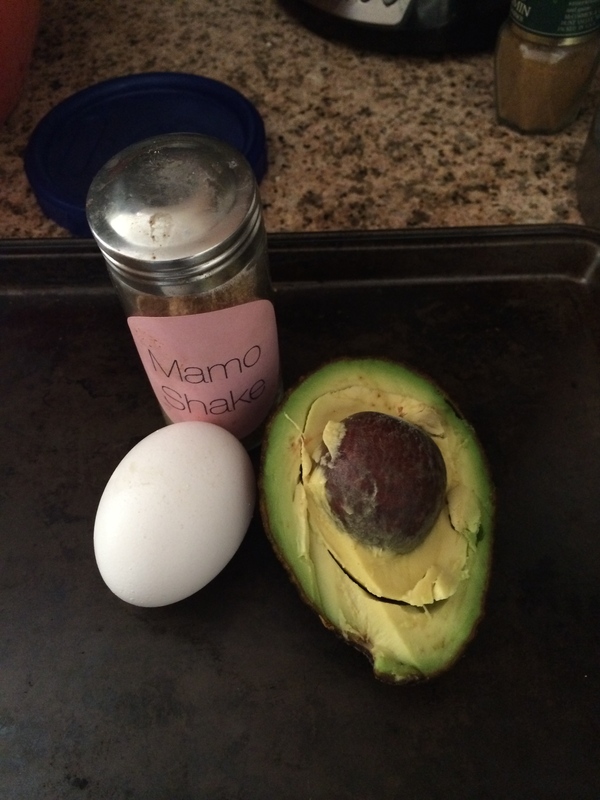 That being said, I like quick, simple, and healthy breakfasts that can be made to go or pre-made the night before. 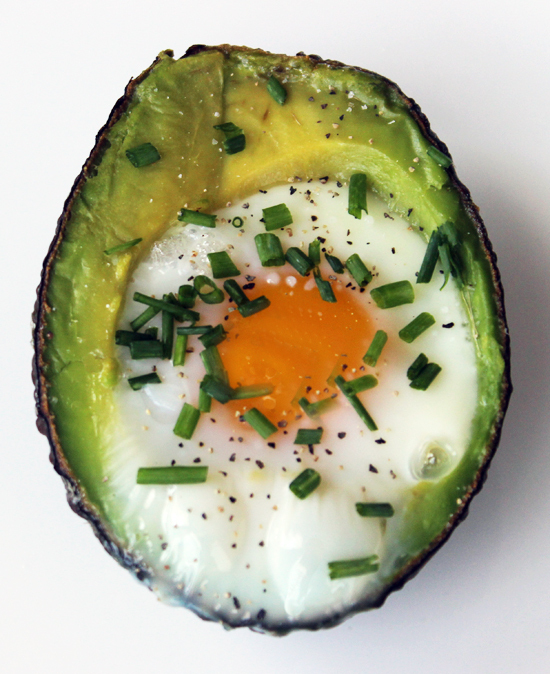 One of my absolute favorites is the paleo-inspired baked avocado and egg breakfast because you can literally make it while you shower. I wake up and preheat the oven to 425. While it’s pre-heating I take care of my dog, pick out my clothes, and do some morning yoga stretches. That’s usually pretty perfect timing and then all you have to do is cut an avocado in half and scoop out a little bit of the middle. Crack one egg inside and throw in the oven. Super easy right? Now I can just jump in the shower and breakfast makes itself! 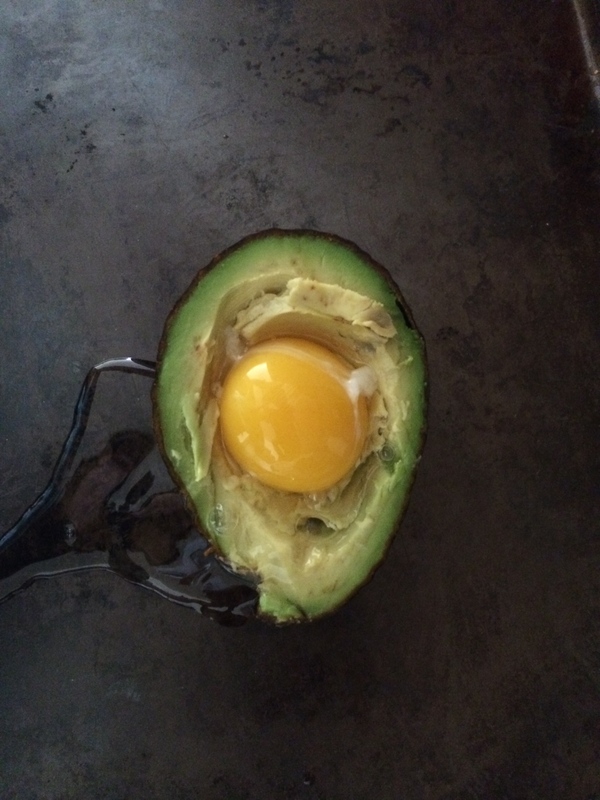 When the egg whites are set (about 15-20 minutes) remove the avocado from the oven. Sprinkle with your favorite spices or add a squeeze of siracha and enjoy! *I use mamu shake, but salt, cayenne pepper, garlic powder, onion powder, and pepper sprinkled super lightly would do the same!